Ghana is situated in the center of the Gold Coast of Africa and has a 535-km-long shoreline that includes lagoons and mangrove forests. The country’s tropical climate varies from a Sudanian type climate in the north with a short rainy season, to the high rainfall regime of the forested Guinean and Guineo-congolian Regions in the southwest. The export of cocoa has traditionally dominated the economy of Ghana, and today it is one of the world’s largest exporters of cocoa. Agriculture remains a major economic sector, providing income for nearly half of Ghanaians. The country is endowed with rich natural resources. 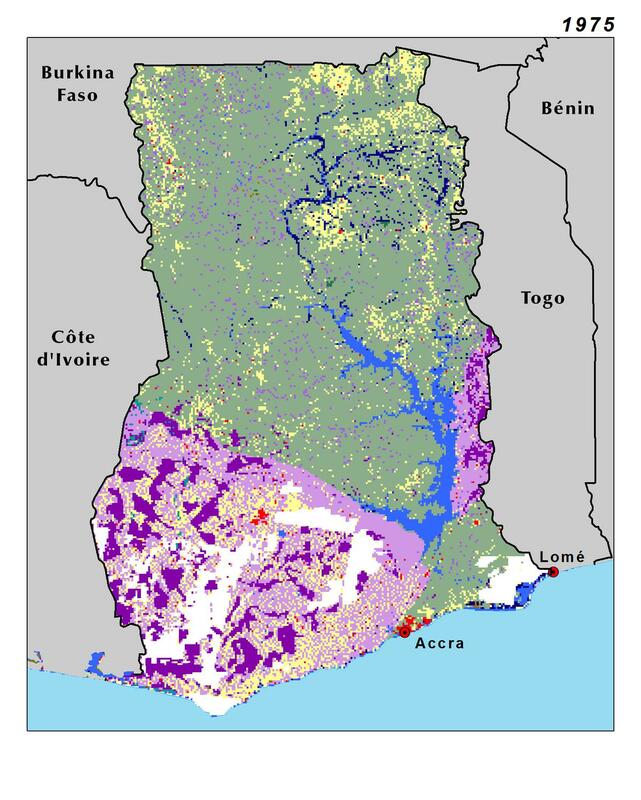 Timber, gold, diamonds, bauxite, manganese, and oil contribute to making Ghana among the wealthier nations in West Africa. While its economy is one of the most successful in the region, it remains heavily dependent on international finance. Ghana, like most West African countries, has daunting environmental challenges since its economic development depends directly on natural resources. Large tracts of dense forest have been cleared to support increasing cocoa production. Mining is causing localized land degradation and water pollution. A quarter of its people are concentrated along the narrow coastal zone.